That moment when you purchase an item for no reason and almost instantly regret it. 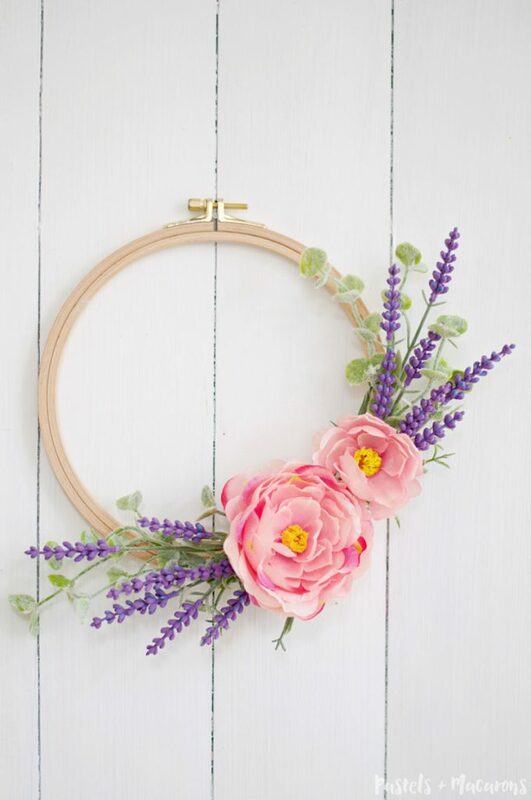 That is the story of this embroidery hoop. I saw it, decided to get it and had no clue what to do with it when I got home. 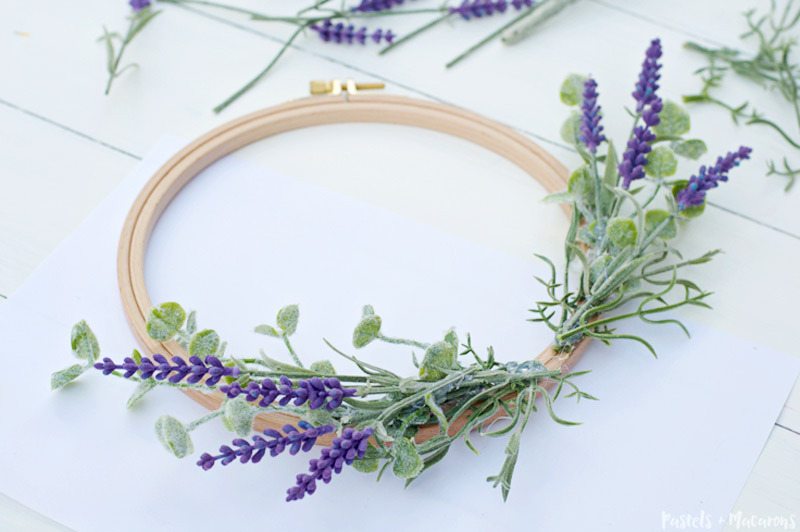 Then one day I was bored, I had some random flowers I also had no clue what to do with and there starts the story of this very easy to make lavender wreath! Incase you’re new here and are not familiar with my love for spring, well allow me to tell you how much I love spring and flowers! Trust me… have a look at how many flowers I post on Instagram! 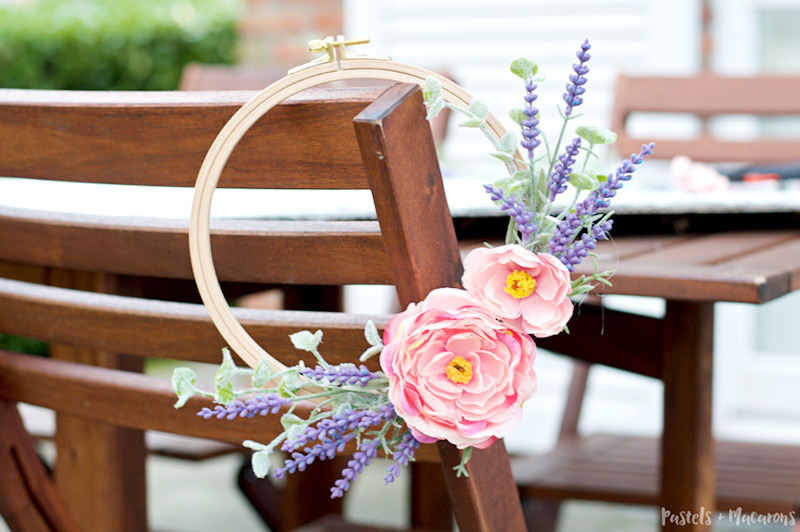 The second I know Spring is approaching I get excited and start making all things flowers! 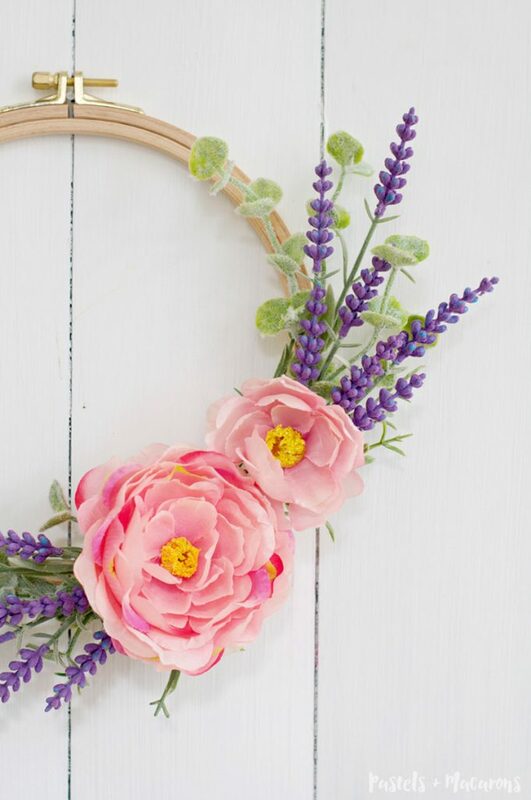 Like this Spring Wreath I recently created. **This post may contain affiliate links for your convenience. If you wish to learn more please refer to my disclosure policy. 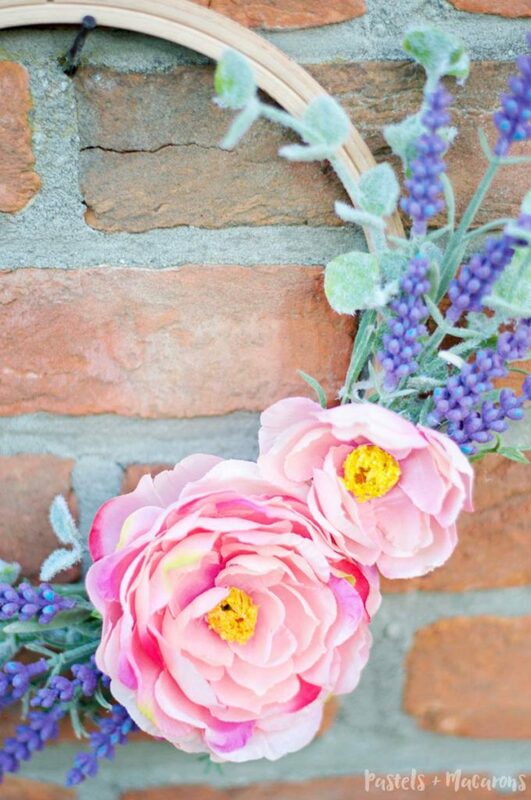 Faux Lavender and other florals to compliment. I chose these pretty pink lush flowers. 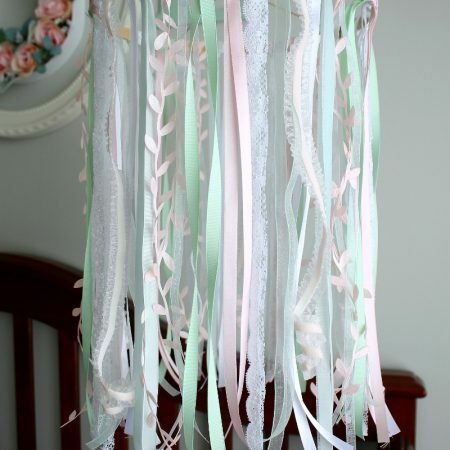 Faux Peonies would be so beautiful for this project. Start by cutting all of the flowers and greenery and getting it all ready in small piles. 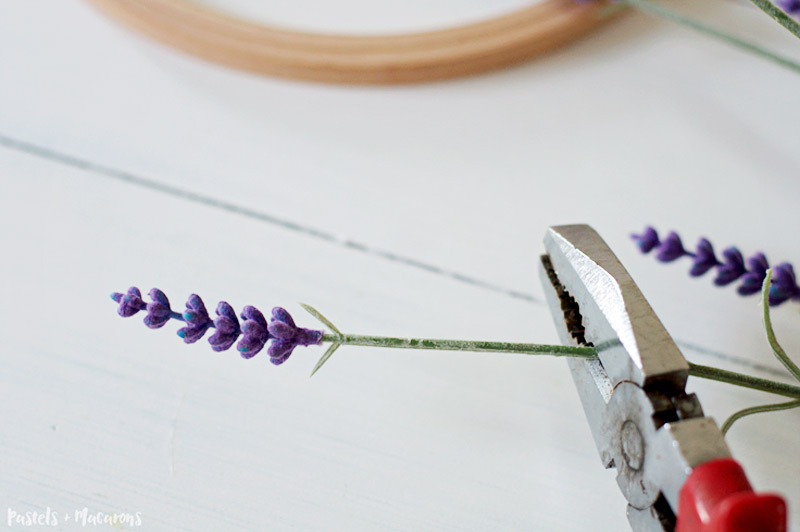 This makes it very easy when it is time to assemble the lavender wreath. 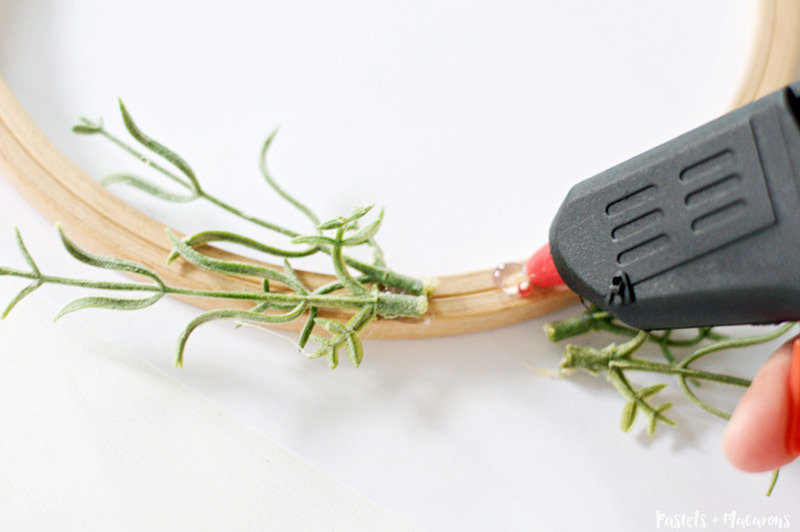 Use pliers to cut through stubborn stems with hard wire. 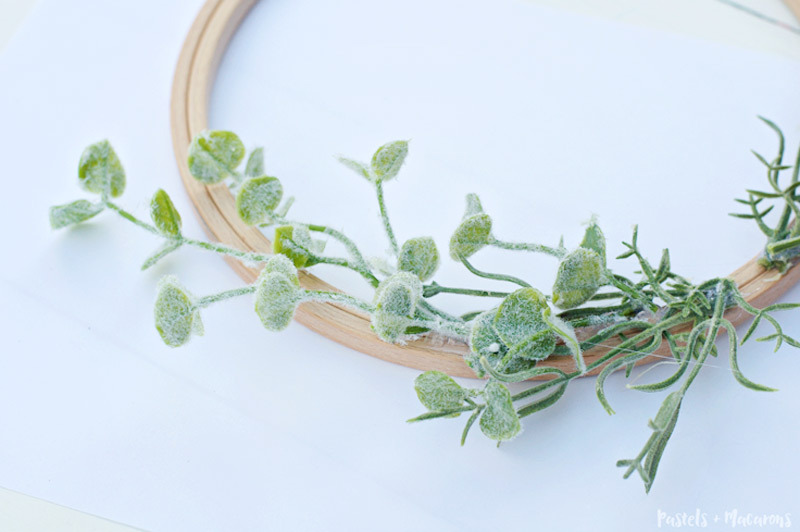 Using your hot glue gun, begin by gluing on the “bulk” greenery you want to use such as stems and leaves. 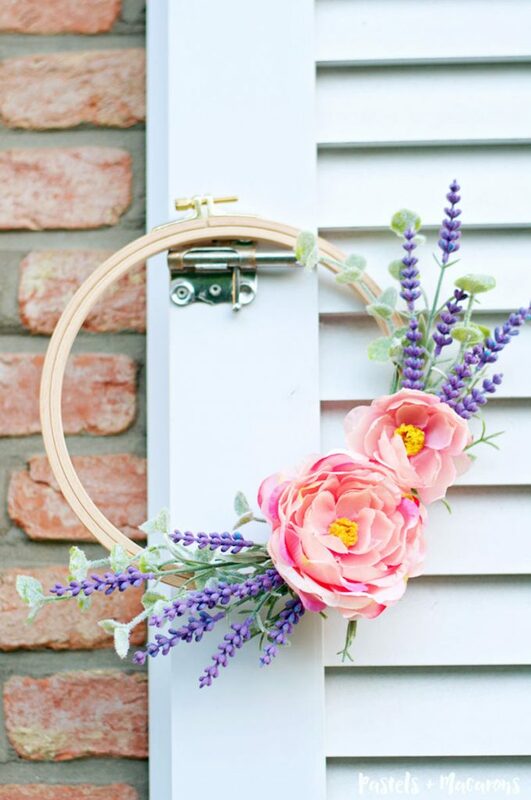 This wreath is all about layering. 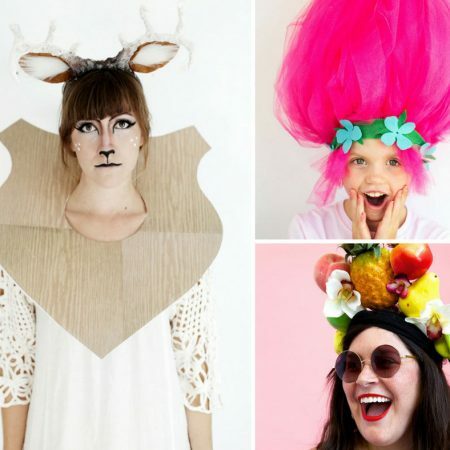 So in order to give it volume and make it look lush you need to add a mix of different foliage. 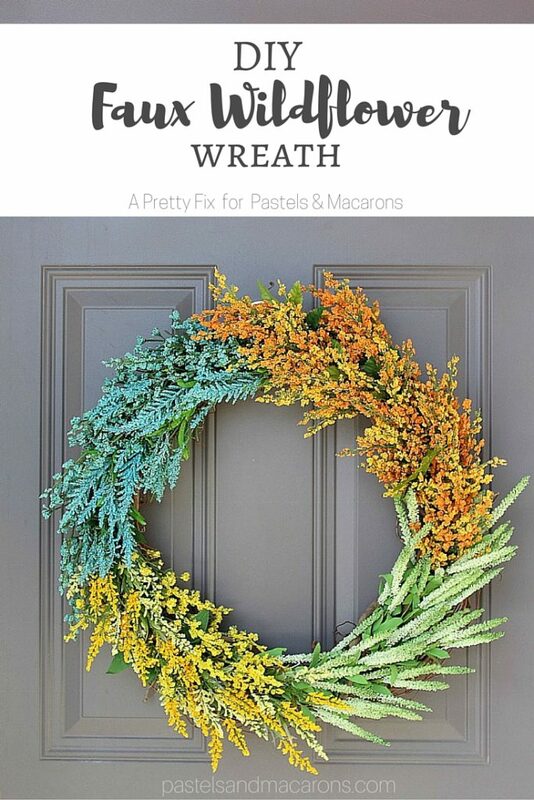 Continue to add foliage to your wreath. 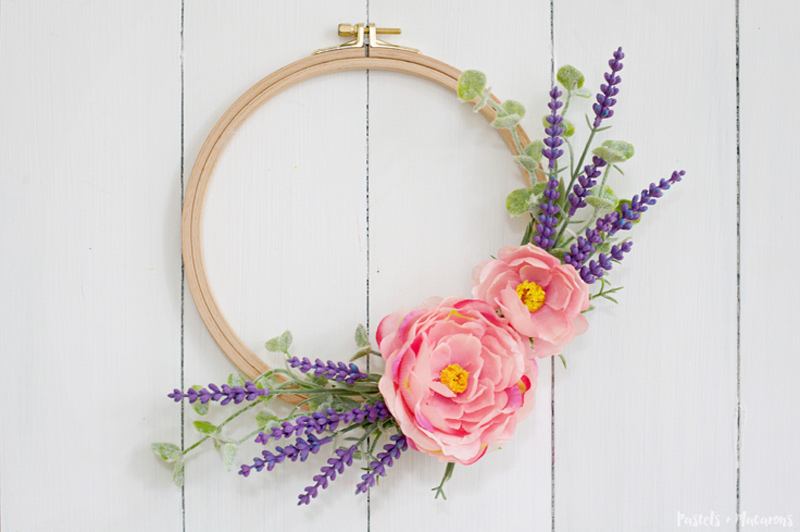 I decided not to cover the entire hoop as I wanted it to be obvious that the wreath was made from an embroidery hoop. 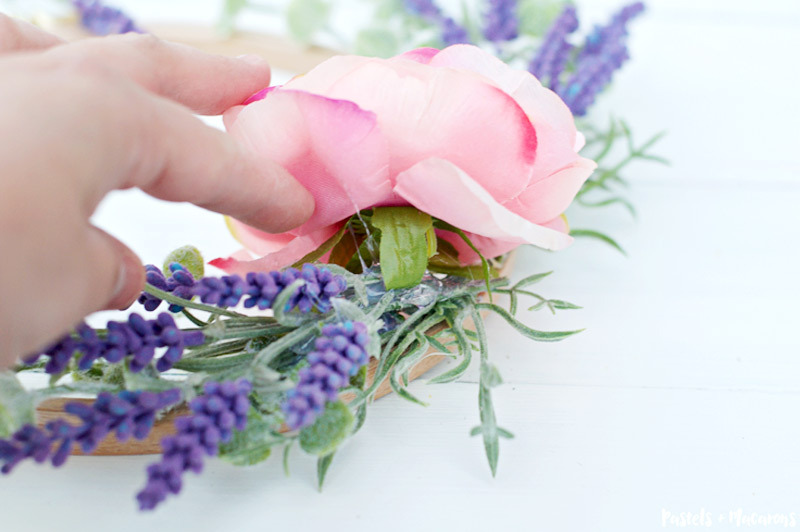 Once you are pleased with the amount of greenery, start gluing on the lavender stems. Don’t be shy, add as much as you want. I added around 7 pieces of lavender on each side. 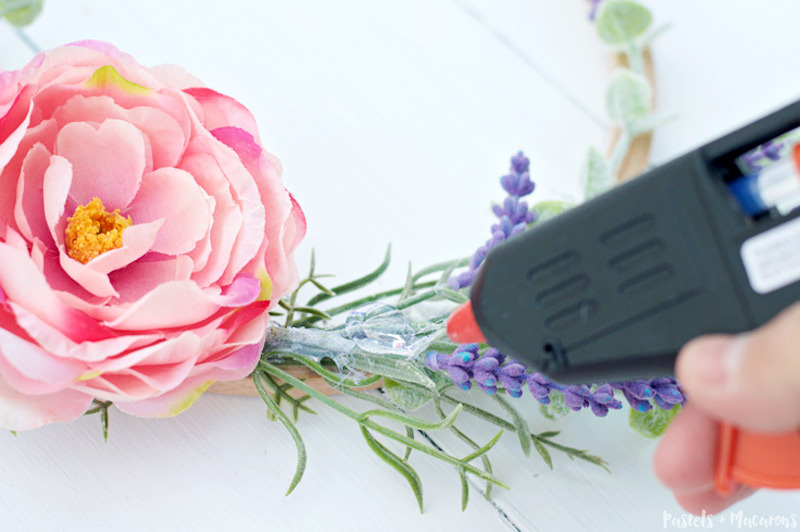 After you have glued on the lavender, then all you need to do is add your lush flowers of choice. You can add as many or as little as you want. I added two as the sizes of the flowers were just right to add two on the wreath. 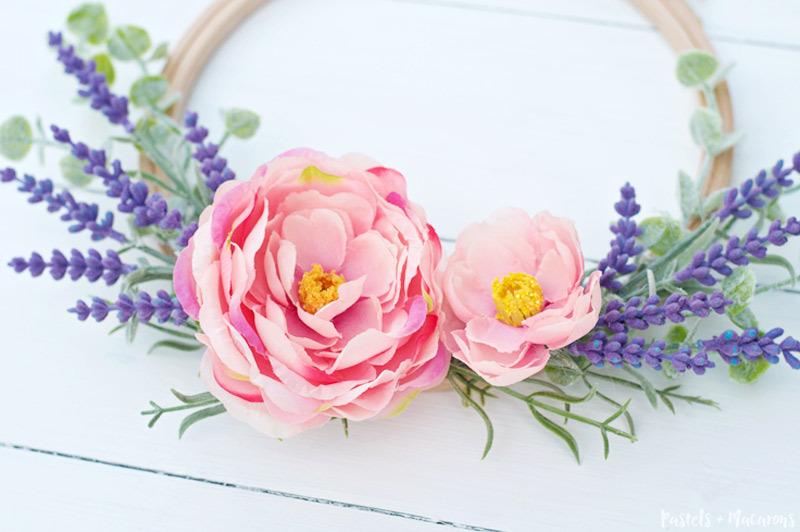 Depending on the size flowers you purchase, play around before gluing them down to see how many flowers look nicest on your wreath. And that is it! 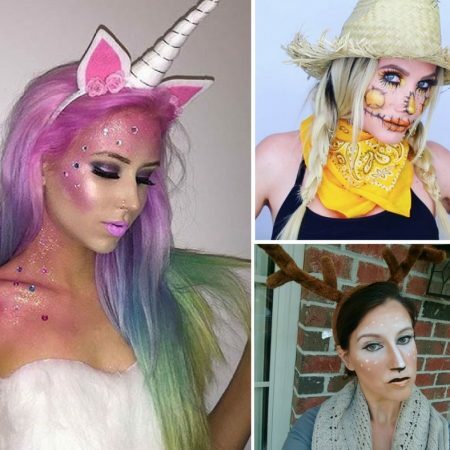 Simple, easy and SUPER quick! 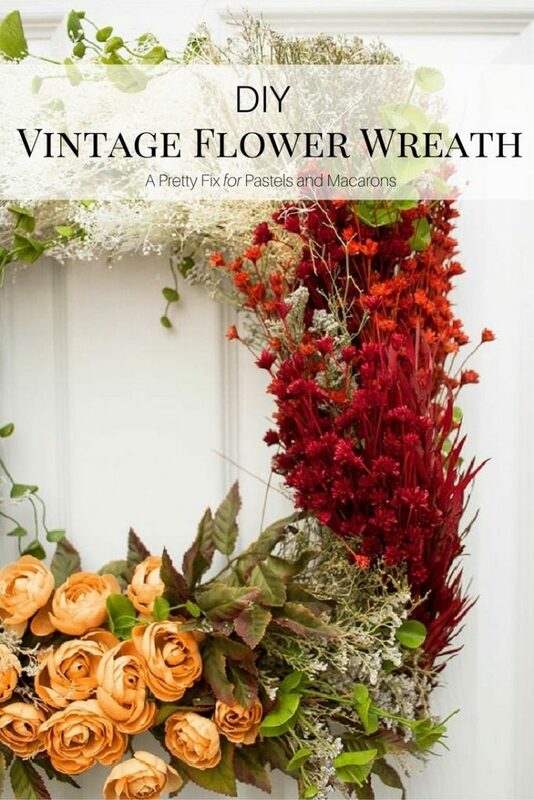 You can certainly add a lot more to your wreath, so play around and see what you prefer. Here is the wreath once it was finished. What do you think? Is this easy enough for you to try? 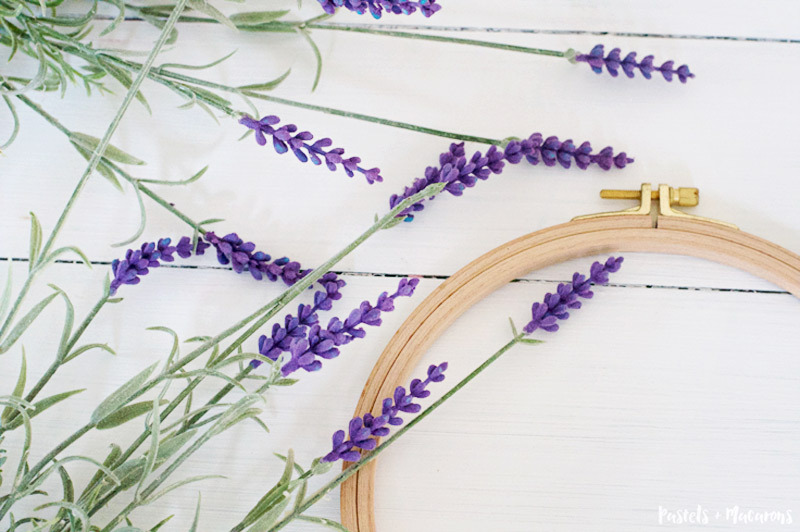 I hope you have enjoyed this 10 minute DIY embroidery hoop lavender wreath today and it inspired you to start making some lovely wreaths for your home! Let me know in comments what wreaths you have made or purchased recently! 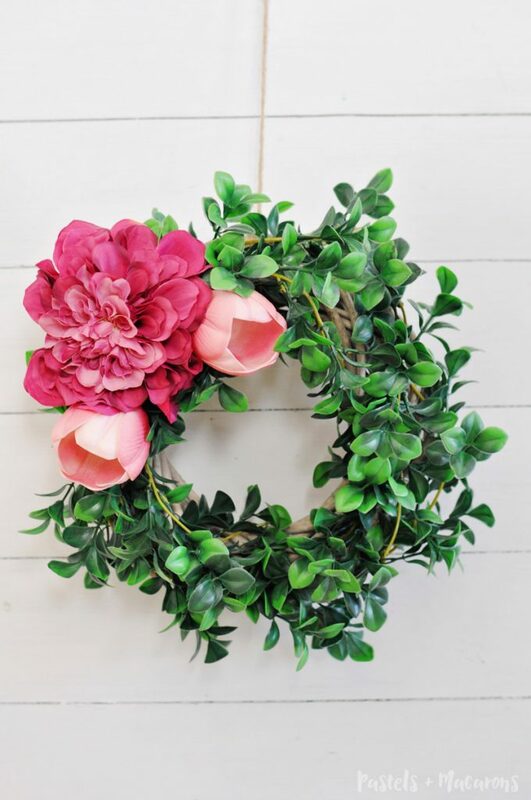 If you love this idea but don’t have time to DIY, here are some wreaths I absolutely love! I love minimal, Scandi-inspired wreath ideas and this one hits it out of the park, Maria. So, so pretty. 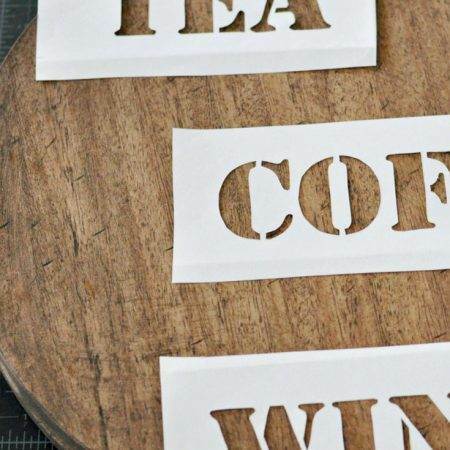 And I love how quick and easy it is to make. Going to try this one at home. Pinning!